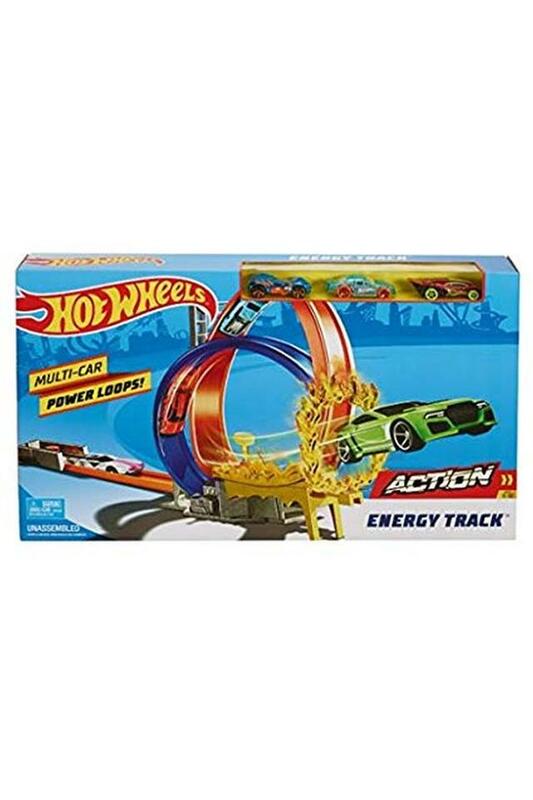 Take your kid on a joyful ride by letting him or her play with this energy loop track with three cars from the house of Mattel. Your kid can now launch cars down the track, brave a double loop stunt, blast through the ring of fire and speed toward the finish line. Ensure a wonderful playtime for your kids by giving this energy loop track set with cars. 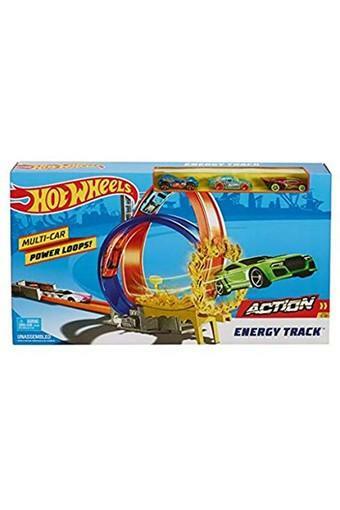 It features multicoloured power loops and a track for an exciting visual spectacle.